A rose by any other name would smell as sweet, said Juliet to Romeo but do all of the crustaceans known as lobster worldwide taste as delicious? Finding out could be a good way to cruise the world as different varieties of these highly prized sea creatures live in cold climates and warm, deep waters and shallow. 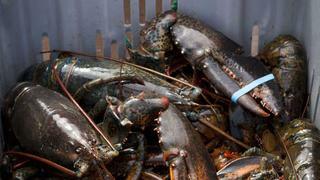 Be they the clawed varieties or their spiny cousins, lobsters are everywhere. The queen of all lobsters is most probably the Maine clawed lobster, Homarus Americanus. These lobsters are found in cold waters off the east coast of the United States, Canada and Newfoundland but they can range as far south as North Carolina. Famous for the sweet and succulent meat in their claws and tails, they were once so abundant that they were used as fishing bait. Only starting in the mid-eighteenth century were they considered a delicacy. Typically served steamed with melted salted butter, Maine lobsters are greenish brown or blue in nature and turn red when cooked. An excellent place for a real Maine lobster dinner is Camden, Maine. With a picture postcard village and surrounded by woods and fields it is one of the most beautiful spots in New England. Camden harbour has deep anchorage and is well protected. On the other side of America youll find a completely different species of lobster. California spiny lobsters, Panulirus interruptus, are also called rock lobsters. They prefer warm Pacific waters and, unlike their New England cousins, they dont have claws. Their reddish-brown shells are also harder and spiny and they have very large antenna. They thrive in the Gulf of the California coast and around the Baja California Peninsula. What better place to sample these lobsters than along the coast of Baja California Sur? Explore the areas colonial missions in Loreto, play golf at Nopolo and go scuba diving in the crystal clear waters around five outlying islands. And dont get too distracted by whales and sea lions to enjoy a lobster dinner. 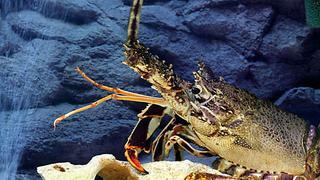 Caribbean lobsters, Panulirus argus, live from the Bahamas and southern Florida to the Gulf of Mexico. Their long, cylindrical bodies are covered with spines but they dont have claws. They are generally olive green or brown, but can be tan to mahogany with yellowish to cream-colored spots. Less meaty than their American cousins, they are nevertheless delicious and highly sought after. Seeing that this type of lobster is the biggest food export of the Bahamas going there to taste them is a natural choice. Drop anchor at Conception Island, uninhabited and a sanctuary for birds, fish, turtles and coral. Or continue on to Harbour Island to see the famous pink sand beaches and sample the local lobster at a restaurant. The European lobster or common lobster, Homarus gammarus, is a species of clawed lobster that lives in the eastern Atlantic Ocean, Mediterranean Sea and parts of the Black Sea. Closely related and very similar to Maine lobsters, they typically have a darker colour and slightly smaller claws. Expensive and highly esteemed, prices for European lobsters are much higher than for American lobsters and the meat is considered to be more flavourful. 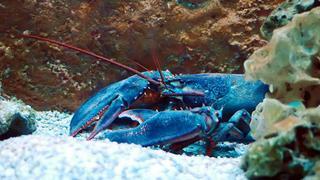 In life, these lobsters are blue, only becoming lobster red on cooking. Sample these lobsters when you visit Praia da Amoreira in the Algarve. After a day spent walking the golden sands and swimming in rock pools tuck into Vilamoura Marina for a safe anchorage with everything from Roman ruins to nightclubs in the vicinity. Prawns, langoustine or scampi, Nephrops norvegicus, also called Norwegian lobsters, are slim, orange-pink lobster similar in colour to shrimp. Found in the north eastern Atlantic Ocean and North Sea from Iceland and northern Norway to Portugal, they are the most important commercial crustaceans in Europe. The claws are small, but their tails are succulent. Their meat is very delicate and they are best served poached or lightly grilled. It is impossible to mention Norway without talking about the breathtaking scenery of the fjords. 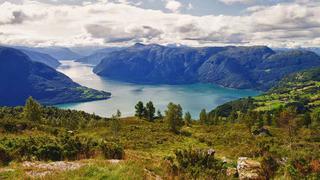 Cruise the Hardanger, the Sognefjord or the Nusfjord, also a UNESCO World Heritage site, but, considering the temperature of the water, leave the swimming to the scampi. South African or Cape lobsters, Homarus capensis, are rare, delicious and said to be the best in the world. Caught in the cold, clean waters off the coast of South Africa, these lobsters have brilliant reddish-orange shells that are very thin. The meat is sweet and mild, easy to extract, and the meat to shell ratio is very high. They can be boiled, steamed or grilled over an open fire then served with lemon or parsley butter. The best place to enjoy a Cape lobster is close to its home in the chilly waters of the West Coast of South Africa, in towns like Langebaan, Saldanha, Lamberts Bay, or Jacobsbaai. Here, traditional open-air beach restaurants specialise in preparing lobster for a sea-to-plate experience you wont soon forget. Bay lobsters, also known as Moreton Bay bugs or flathead lobsters, Thenus orientalis are a species of slipper lobster from the Indian and Pacific Oceans around Australia. Known for their beautiful brilliant blue green shells, these lobsters have a smooth and mild flavour and are popularly used in many Singaporean dishes. There is no better place to taste Oriental cooking than in the Orient. Miri Marina in Sarawak, Malaysia is a new structure that offers safe berths and a prime location for exploring Southeast Asia and nearby Mulu, Niah and Lambir Falls national Parks. The Japanese spiny lobster, Panulirus japonicus, lives in the Pacific Ocean around Japan, China, Korea and Taiwan. Their shells are a deep scarlet coloured and their meat is sweet and velvety. A popular item in high-class Japanese cuisine, serving and preparation methods include sashimi, tempura and- oh dear- roasting alive. Wakayama is in the Katsuura Bay on the southern coast of the Kii-hanto Peninsula. With some 130 islets to cruise, there are also numerous hot springs including the Boki-do Hot Spring inside a cave formed by waves and winds, On top of having many excellent seafood restaurants it is also a prime spot for whale watching and dolphin spotting. The Tristan rock lobster, Jasus tristani, from the Tristan da Cunha archipelago, a group of volcanic islands in the south Atlantic Ocean that is the most remote inhabited archipelago in the world, has an place reserved for no other lobster species: its image features on the coat of arms and the flag of Tristan da Cunha. And one really couldnt eat a national symbol.